Five Nordic and Baltic security services have warned Europeans about the threat of pro-Kremlin disinformation, influence operations and election meddling attempts in their recent yearly reports. 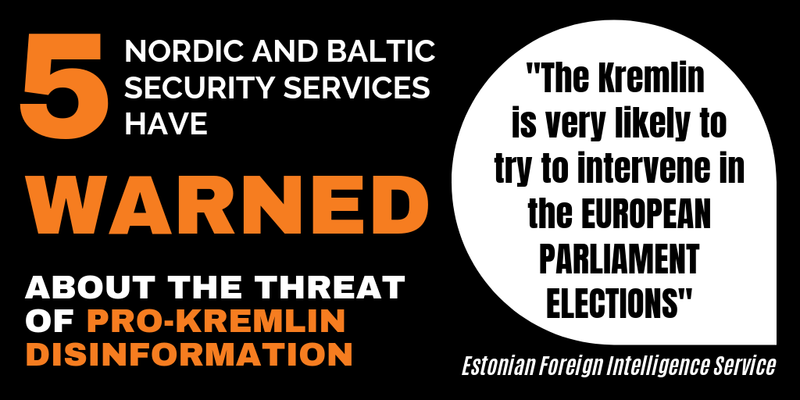 “The Kremlin is very likely to try to intervene in the European Parliament elections [in May 2019] to secure as many seats as possible for pro-Russian or eurosceptical political forces”, the Estonian Foreign Intelligence Service says. According to its assessment, especially the larger EU member states like Germany, France and Italy will be affected by the pro-Kremlin attempts to intervene. In addition, the typically lower turnout seen at EP elections makes it more likely that Russia will use lower scale but more concentrated effort to mobilise an electorate that meets its needs. 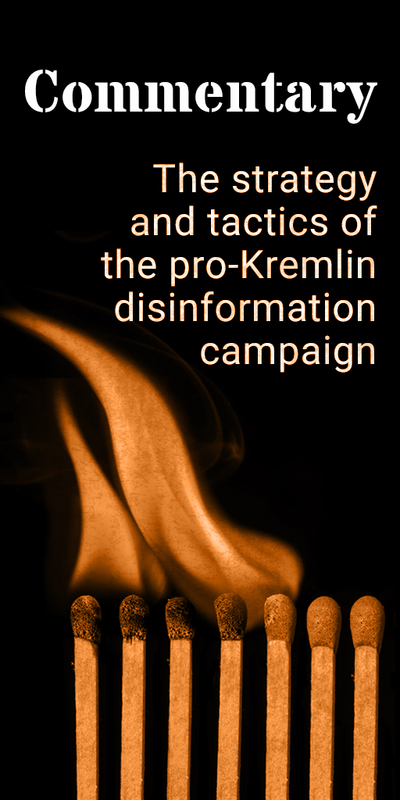 The Lithuanian national threat assessment states that it is possible that Russia will use its capabilities to disseminate disinformation in the social media during the 2019 election cycle in Lithuania. It refers to the Kremlin’s interference in the US elections and notes that Kremlin-related companies and intelligence services seek to establish operational platforms in foreign social media that could serve as a tool to destabilize the situation in a foreign country. Swedish security service highlights Russia’s improved ability to actively and covertly influence other states in “grey area” activities, without provoking military conflict. The Danish intelligence risk assessment warns that Russia’s influence campaigns are a growing threat, also against Denmark. Here, the influence operations may be launched related to election campaigns or as part of Russia’s broader intention to influence the Baltic Sea region. Finland pays particular interest to the intelligence services of Russia and China, and a disproportionately large number of foreign (intelligence) personnel, who are stationed in Finland relative to the size of the country. The key topics of interest to the foreign intelligence include the national debate on the membership in NATO, foreign and security policy, Finnish position regarding the EU sanctions policy, the Baltic Sea region security issues and Finland’s involvement in international military cooperation.